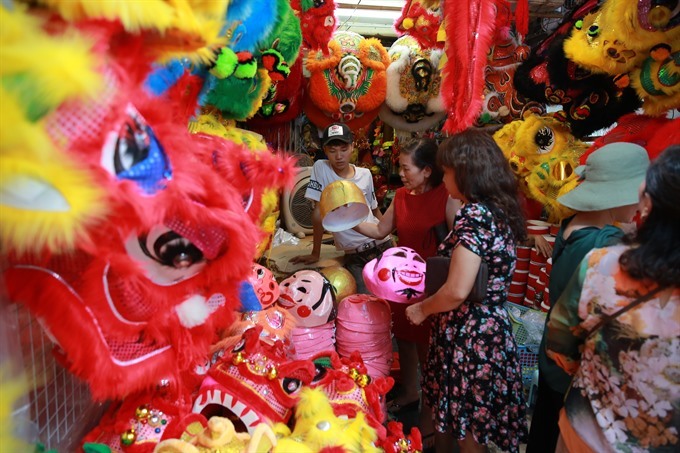 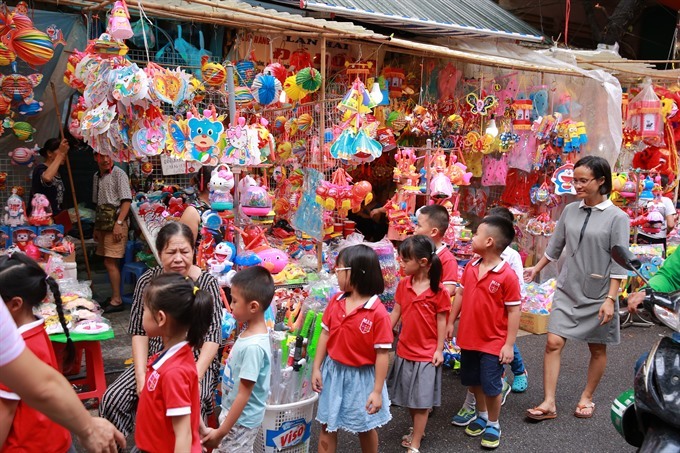 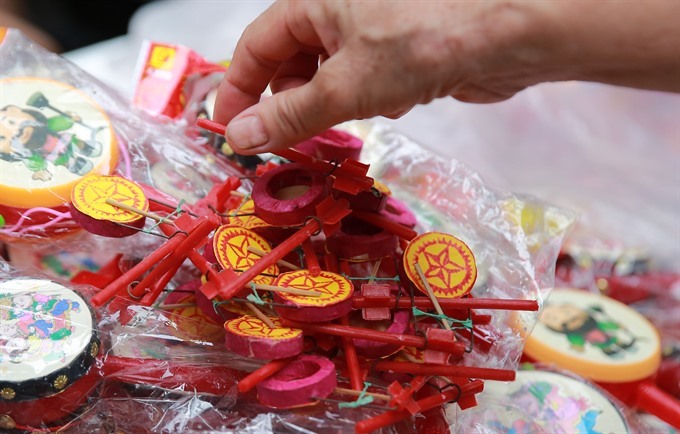 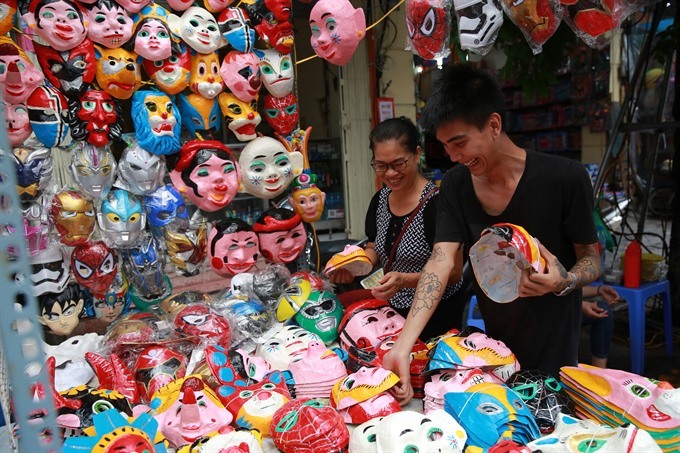 The spirit is buzzing along Hàng Mã Street in the capital, which is famous for selling traditional toys. 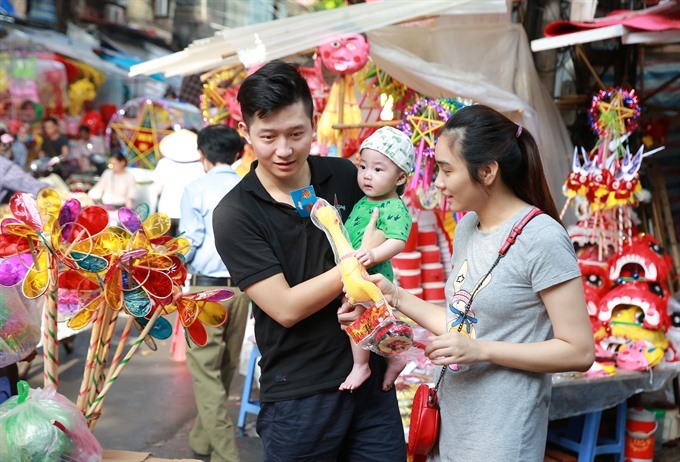 Families there now supply toys for both Vietnamese and overseas customers. 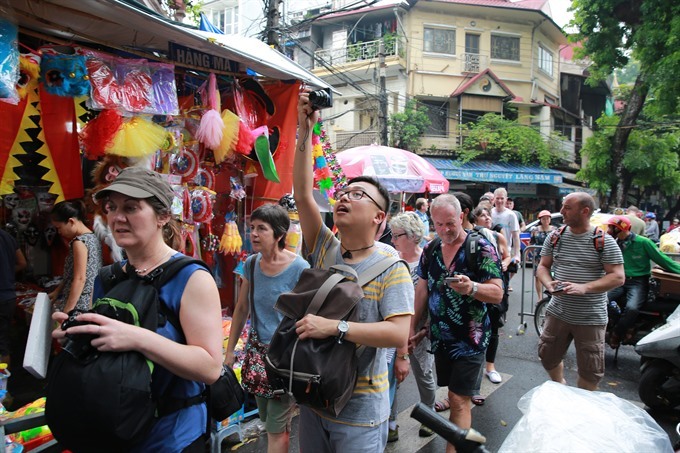 The colourful street is busy at the moment with locals and tourists eager to be part of the traditional festival. 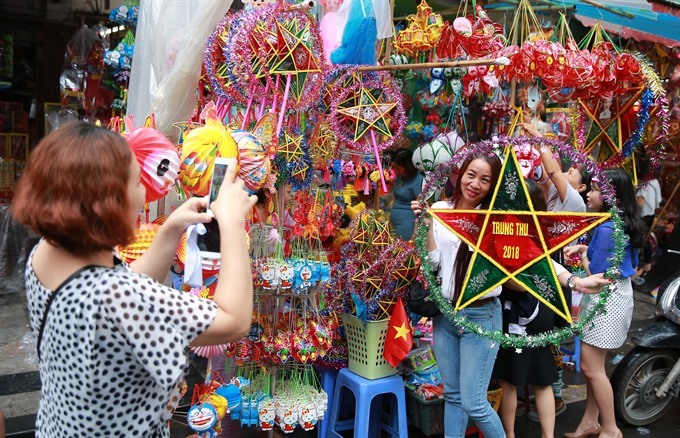 Other festive activities have also been held within the Old Quarter, including artisan-led workshops on how to make traditional toys such as star-shaped lanterns and tò he (figurines made from glutinous rice powder), which take place at Kim Ngân Communal House at 42-44 Hàng Bạc Street. 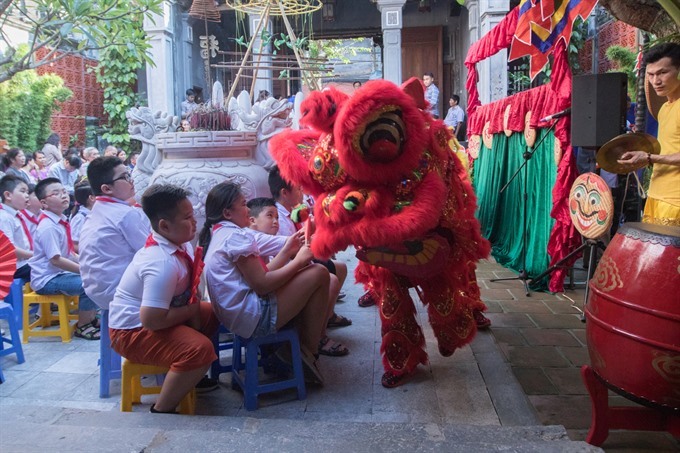 Traditional games and musical performances will be held at the mural on Phùng Hưng Street this weekend.